It’s that time of year… a lot of you will be getting ready for your Rock Climbing Instructor assessment, to hopefully capitalise on lots of summer work out on the crags. Follow my pointers on releasable abseil set ups, and over the next few weeks we’ll have everything you need to know for your Rock Climbing Instructor qualification covered. I’m not suggesting that mine is the only way to do things – there are a load of right ways. The 10 points below are ways that work for me and have worked well with many Rock Climbing Instructor (formerly Single Pitch Award) assessment candidates that I’ve worked with. Consider your personal safety when setting up anchors, clip in with cows tail to 1st placement. Use multiple anchors, equalised and independently tied off. Keep a 60° angle between anchors as a max. Set anchors high to allow abseiler to weight rope when approaching edge of abseil, they will feel more secure. Use a direct belay rather than indirect, this allows you the movement to solve problems. Organise your set up so that you able to see the abseiler and be able to move freely to reach and lock off safety rope and release abseil rope if a problem arises. The abseil rope needs to reach and touch the bottom of crag, not be on floor where it can be stepped on. Keep your working area safe and trip free – releasable section of rope and safety rope need to be neatly stored with live end on top. Ensure that participants are in a ‘safe’ area when waiting/watching at top and bottom of abseil. Check that the abseiler’s harness is fitted correctly and that if applicable they have tied back long hair and sorted out loose clothing. Arguably the least practised/used part of releasable abseils is actually releasing the abseil rope when someone has hair or clothing tangled in the abseil device. Hopefully and with due diligence we can go through our careers without this happening, this makes it even more important to put in some practice. Get out on the crag and practice locking off the safety rope and releasing the abseil rope with your work mates and/or climbing partners, so that not only can you give a slick performance on you assessment, but if you are confronted with this problem in reality you can solve it quickly and efficiently, preventing a potentially distressed client. 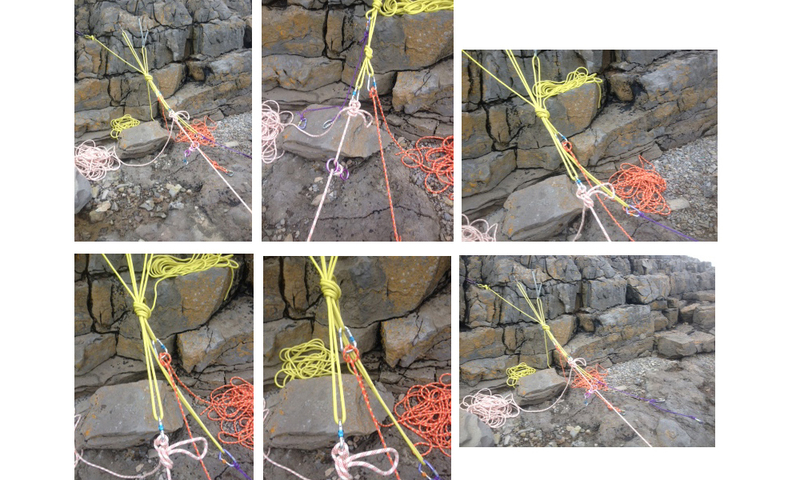 Set up an anchor system with three different length loops: one for abseil rope, one for safety rope and one for personal safety. Having different length loops keeps the crabs apart and can make it easier to tie of and release an Italian hitch. 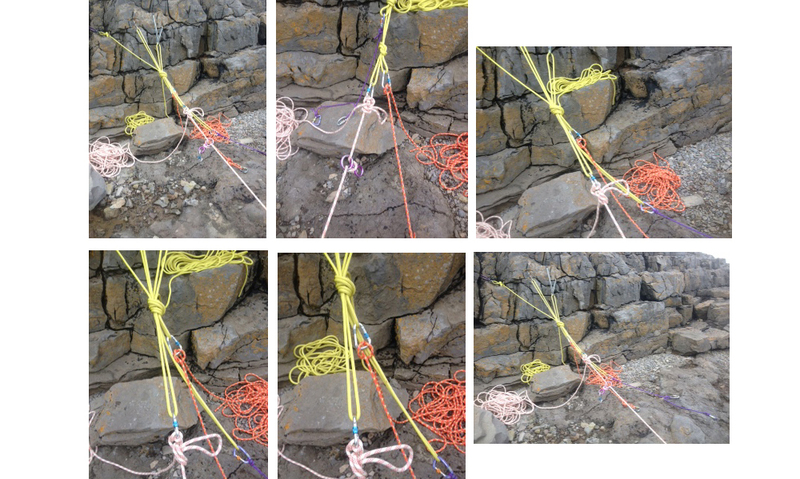 Set up an anchor system using a re-threaded figure of eight on a bight to create two loops (bunny ears). Having a versatility with knots and their uses is always handy. Work out how to haul the abseil device and crabs back to the top of the abseil without scraping and banging them on the crag on the way up. This can save you from a lot of damaged equipment.